Director James Hurley doesn’t focus on the darker elements of this fairytale, though. Using surtitles as a vehicle for humour and contemporary references, Popup Opera succeeds at making Englebert Humperdinck’s full-scale opera fun and accessible. Fiona Rigler’s set is minimal, with mops and buckets used successfully as a forest and less so as Hansel’s cage. Her witch’s house is colourful and enticing, but the collapsable structure is less of a house and more of an Ikea flatpack gone wrong. The surtitles, necessary for the German-language libretto, incorporate childlike illustrations, text speak and jokes that are both funny and relevant. The chosen vocabulary is easy to understand, quick to read and does the promised job at making opera accessible. Polly Leech and Sofia Larsson are a playful Hansel and Gretel, with Leech making a particularly convincing young boy. They are expressive and energetic, using movement freely and effectively to show their youthful characters and fill the space. Despite the sparse set, they give us plenty to watch. Though not a shiny, sleek production like Opera UpClose’s recent The Magic Flute, Hansel & Gretel goes for ease of understanding rather than high production values – and it works. This is a fun, relaxed production that is warm and easy to follow. 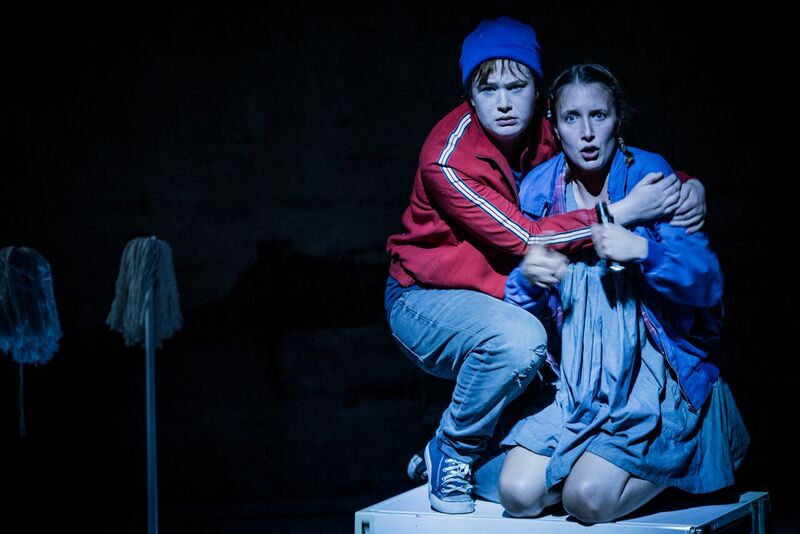 Hansel & Gretel tours through 19 November.